When it comes to product confidence, John Guest has always built its Push-fit pipes and fittings to perform for a lifetime. 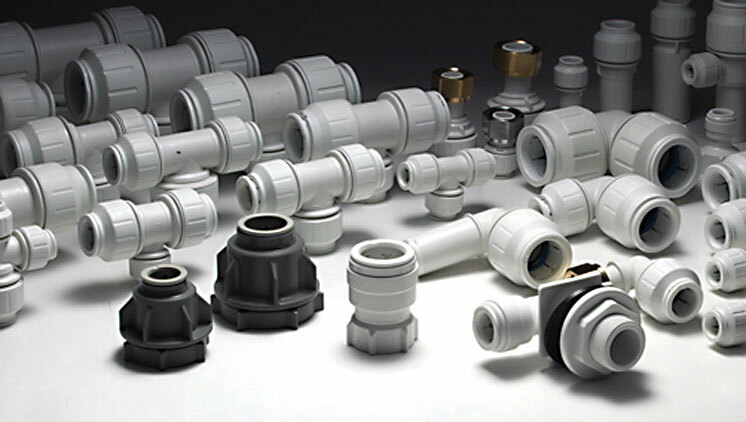 Now, the UK manufacturer is pleased to further increase that reassurance, doubling the guarantee on Speedfit plumbing ranges from 25 years to 50 years. "Our product testing techniques and experience gives JG Speedfit the confidence to increase our guarantee for manufacturing and materials from 25 to 50 years." Products from PBPSA member John Guest Speedfit, manufactured in the UK, have always been stringently checked at every stage of production to make sure they meet the very high standards expected by customers. Fittings are weighed, measured and checked using robotic and visual technology, while every batch is tested before leaving the factory. Pipes are constantly measured to ensure correct dimensions and every batch is tested for pressure resistance. Other tests at John Guest’s headquarters in West Drayton include subjecting pipes and fittings to fluctuating temperatures and pressures, in excess of the operating pressure. Products are also verified for resistance against water hammer, force, impact and chemical exposures. Lee Flood, Director of Quality at John Guest, said, “John Guest products have long been synonymous with quality and our guarantees reflect this. Not only are our products designed and developed by our own experts here in the UK, but we have also invested heavily in technology and expertise to ensure that quality is built in at every stage of manufacture."